On a mountain top deep in the Rockies; trails scaled, rocks climbed, the class of one sits in front of the master. iPad on the movie channels, iPhone up to ear, the student is multi-tasking anxiety and the thrill of such a prime lesson in a social way . . . talking, laughing, tweeting, but definitely not paying attention. 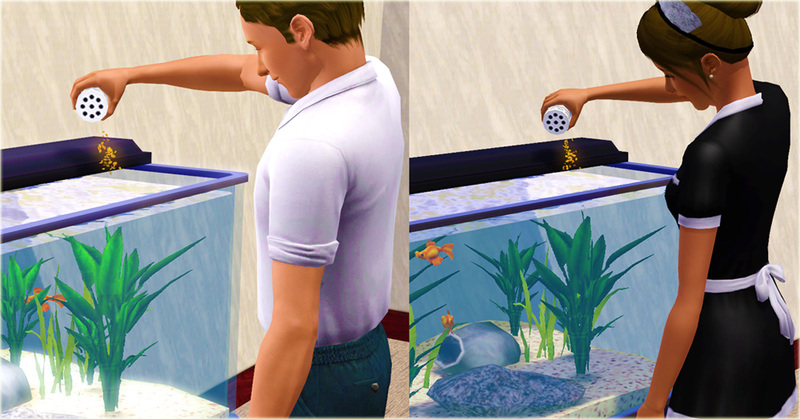 Who feeds the fish when the maid isn’t near? 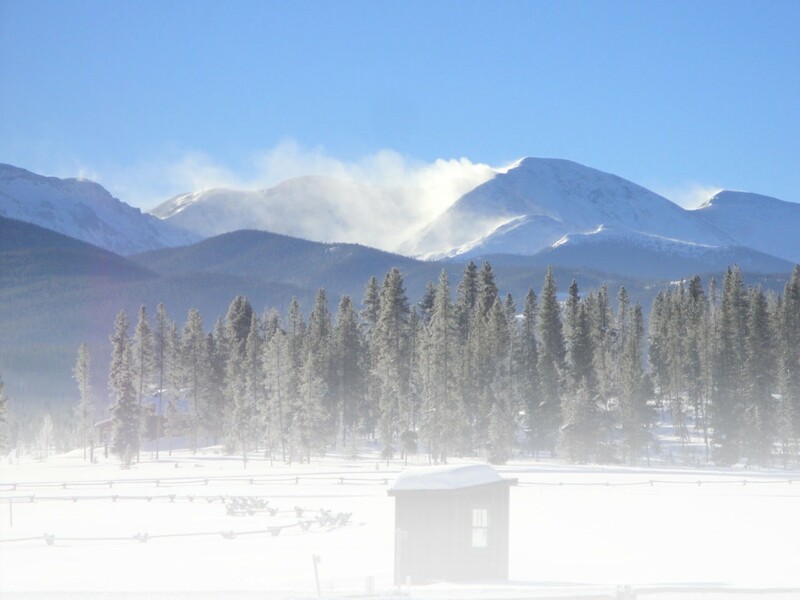 The altitude creates a mood of giddiness for the unprepared; or is it just a product of Colorado’s smokey breeze? “Good morning, class. Good morning, claasss! Claaasss? Claaassss!! SHUT UP!!! Thank you. As you know your regular teacher Sister Rosetta Stone is on a small vacation . . .” as the rant continues. Now with my full attention, winds quickly calm as the sun frames his form in some larger, magnified way; his words seem stronger, deep with more import as the master intones in his melodic way . 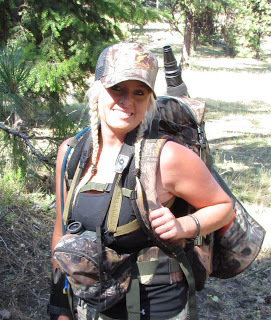 . .
What about Wilderness Athlete? They’re not one of those big promotional confabs. His stare seers; I understand his meaning . . . they aren’t one of them. The master continues, “Of course not; they are the jewel in a trunk of costume jewelry. Think: buyer beware;” I wish I’d thought of that. “Attempts to advance our foods via chemistry and science are geared toward proving the value of a given nutrient. This approach is backward. We erroneously examine individual nutrients to attain wellness and boost sport performance when we should simply look to primary source, whole foods. Optimum snowshoeing performance and wellness will result when negative effects have been eliminated from the diet versus simply adding more nutrients individually. He paused to let that soak in–in my case, longer than normal–before continuing. “Nutrition plays a profound role in every aspect of your life–including your endurance sports endeavors. The impact of your nutritional choices begins at the cellular level. Regular consumption of nutrient-dense, primary source, whole foods facilitates cellular regeneration. Every aspect of health and vitality is reliant upon the process. This process is challenging yet necessary. Technology has infiltrated both health and sport to the point where analysis and dissection of the laws of nature and physics have comprised awareness. The gap between an one’s desire to achieve a healthful goal and the commitment to make the requisite personal changes to attain said goal has become wider and deeper. There are no shortcuts or quick fixes. “Fish oil is the latest isolated supplement rage simply for the sake of getting the essential fatty acid DHA. Fish are among the most polluted organisms. 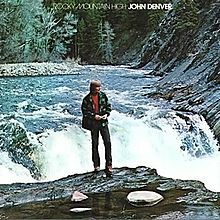 The title “Rocky Mountain High” reflects Denver’s “sense of peace” he found in the Rockies. The Master concedes, “Nicely done, student,” cracking me alongside the head with his staff; I wondered why he had that laying there. I glance up to see the master listening intently, pleased the student is grasping and expanding his lesson. Master, doesn’t that mean if I don’t care to swallow a tablespoon of flaxseed oil, I can just ingest two fish oil capsules? Think about it. Life is not a lab, for sure; test tubes and storage bottles on scientist’s shelves don’t reflect those challenges humans meet daily. 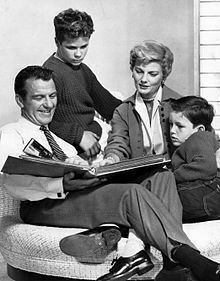 Days tend to be organized chaos, full of multiple-career families, obligations, requirements, friends that transcend the popular notion of “Leave It To Beaver” tranquility. Where is the time to cook healthy, hearty meals on a consistent, daily basis–not that a family doesn’t want to–but part of the trick of life is surviving the game as it plays out in front, too. The reality of what works vs. the perfect ideal supersedes our fantasy of perfection. Fish oil supplementation fills in those blank spaces. Maybe the family needs a maid, then, just solve it that way. Oh, sure, there’s plenty of cash lying around for that, no problem; right? Wrong! Budgets are tighter than a fiddler’s string; ever pay for hockey uniforms or figure skater’s costumes? Lessons? Ice time? Those who do, and this goes for the myriad of sports out there, know they cost a lot. An axiom of life, kids grow so those costs continue to roll over again and again. 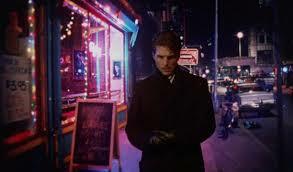 In Stanley Kubrick’s misunderstood classic “Eyes Wide Shut,” note a scene where the Tom Cruise character, Dr. Bill Harford, strolls a nighttime New York City street. Approached by a beautiful young woman to join her inside, he accepts. As they step into her tiny kitchenette leading to a small bedroom, she moves unwashed pots and skillets from the cramped table, self-consciously placing them in the deep-basin sink with an off-hand remark fitting family predicaments: “Maid’s day off!” meaning there is no maid, there is no time to pretend to be one.In a perfect world ideal nutritional meals would be served like those in old shows; everyone sitting down to a full dinner while consuming every nutrient the body needs everyday from produce picked that day in the garden. For those who can enjoy that, then supplements of any nature excepting vitamin D, would not likely be needed. For everyone else, one can patch the holes by not just choosing a supplement, but choosing the right source of a supplement like fish oil. Choosing the lowest common denominator here will possibly lead to some of the dangers Kildahl references. That is why quality is key such as the origin and type of fish that supply the oil for the little capsule. A review of their CA reflects that Wilderness Athlete fish oil capsules are primarily derived from wild North Atlantic mackerel, a virtual factory of Omega 3s with some 100 percent more than, say, salmon. 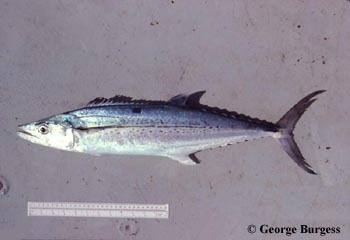 Further, as a strong source of Phosphatidylserine, mackerel is a leading candidate to alleviate circumstances of ADHD and Alzheimer’s.The Master, tiring now of having such a pupil in his space, recaps, “We are designed to ingest our sustenance from the plentiful offerings by Mother Nature, not nutrients created in the lab. Primary source, whole foods offer a synergistic blend of complementary, purpose-driven and results-oriented nutrients designed to propel your endurance sports performance and your wellness because of your diet, not in spite of it. 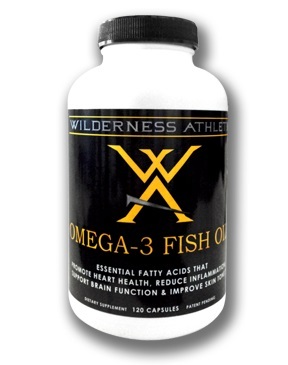 The determining element of supplementing with Wilderness Athlete’s fish oil Omega 3 capsules is one’s ability to get on a daily basis nutrition-dense meals while contending with modern schedules; just becoming lazy and not preparing those meals (Maid’s Day off!) should not be the consideration, but it will. The point is, WA fish oil is the real deal for contemporary families.Wilderness Athlete’s renown Coach Mark Paulsen remarks, “Don’t underestimate how important (Wilderness Athlete) supplements are for improving and healing your body.” His definition is not only fish oil capsule related, but includes, for example, their Meal Replacement/Recovery Shake. Whether it is conditioning for sport, health or just because one prefers to look good, exercise and strength are keys to retain fitness and muscles. Paulsen summarizes the whole process with “Bleed it, feed it, rest it,” where “Bleed it” refers to working out with enough intensity that you feel physically whooped when you’re done. “Feed it” relates to giving your body the best chance to get stronger by eating the best choices and supplementing properly. “Rest it” obviously denotes the importance of quality downtime, allowing the body the sleep and rest it needs to repair itself. This entry was posted in Features, Health by Jeff Kildahl, Ph.D and Phillip Gary Smith. Bookmark the permalink.